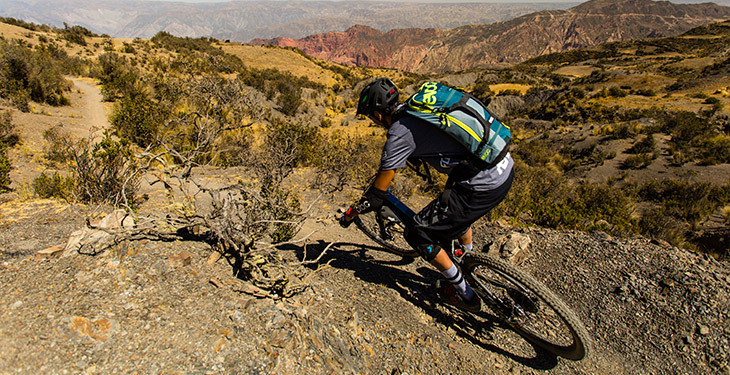 Advanced mountain biking experience in the heart of the Andes mountains. Bolivia is located in the very heart of the Andes. If you're a mountain biker, this only means one thing: EPIC RIDING! This is not your average mountain biking experience. During this 7-day adventure you'll tackle challenging trails in La Paz, the heart of the Andes Mountain Range, surrounded by the majestic peaks, high desert terrain, and the ancient history and cultures of Bolivia, all combined with extremely high altitude elevations. This Enduro mountain biking trip is tailored for riders with advanced riding skills, and the expert local mountain biking guides at Bolivia Bucket List will take you to the area's most amazing trails, where you'll challenge yourself on some truly epic rides. Begin your mountain biking adventure in the Camiraya Bike Park, Bolivia's first bike park, and possibly the only bike park that works on a communal-native scale. The community builds, maintains and designs the trails, ensuring they are like no other bike park you'll ever ride in your life. Bike throughout La Paz, making your way to the "Moon Trails" where you'll have the opportunity to ride in the high altitude desert “moon soil” and tackle the world's longest urban downhill run. Ride on the beautiful Eden Trail, an amazing pre-Inca trail that offers a high-speed ride through native Andean forests with outstanding views, and the epic Chuchu Trail, the starting point for the Enduro Mass race for the last 10 years. 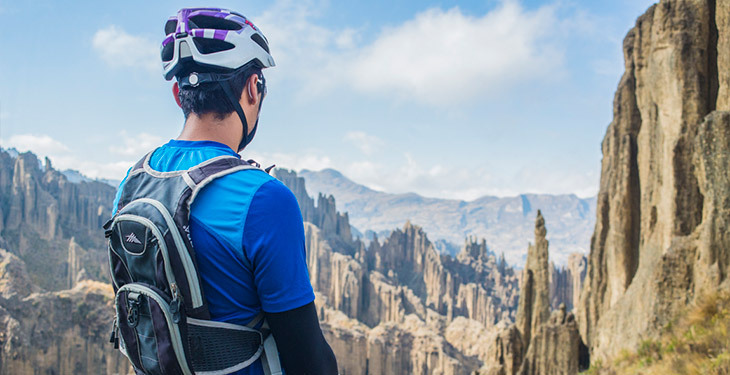 Finish the week in the Animas Valley, the worlds largest geological tower formation in the world, and ride your bike through one of La Paz’s most unique destinations. The spectacular views and incredible heights make this a truly one-of-a-kind riding experience. 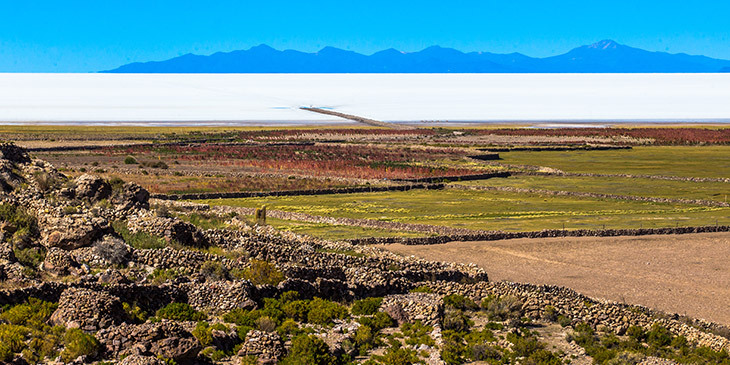 You'll get a taste of some of Bolivia's culture and history as you ride through ancient trails and rarely-visited destinations. This tour is ideal for more experienced riders looking to test your limits as you tackle radical changes in elevation, climate, and dirt condition. This truly is an unforgettable, Bucket List cycling adventure. Upon your arrival, a guide will be waiting for you at the La Paz Airport (flights usually arrive in the morning). You'll be transferred in a private vehicle to your hotel located in the center of La Paz, where you can find many museums and restaurants to visit. Lunch is included from this day on, and you can take the afternoon to build bikes and get prepared with the staff. At 6:00 pm you'll have a briefing of the tour and a technical discussion of gear, basic precautions and activities. Get ready for the next few days of riding! It's time to tackle Bolivian soil! You'll take off from your hotel early for a 45 minute drive to the top of the Collana Pass in front of the majestic Illimani and Mururata Mountains (19,029 ft and 21,073 ft respectively), where the Camiraya Bike Park starts. This is Bolivia’s first bike park, and perhaps the only bike park that works on a communal-native scale. The community builds, maintains and designs the trails, ensuring they are like no other bike park you'll ever ride in your life. You'll find a mix between steep and flowing single tracks and jumps, all made locally for a multi-line, multi-trail, multi-cultural experience. After lots of runs down the bike park trails, you'll have a quick picnic in the middle of the mountains before starting the Ñuñumañani trail, a ride that has a little bit of everything. From flowing switchbacks to rocky sections, you name it! The view of the Andes mountain range is so close that you might feel like you can reach out and touch the almost 20,000-foot high, snow-covered mountains. Hop back into the car and head back to the hotel. Enjoy dinner, fix up your bike and check out your photos before enjoying a good night's rest. After an early breakfast, it's time to get geared up and head out to the “Moon Trails” in the southern part of the city. 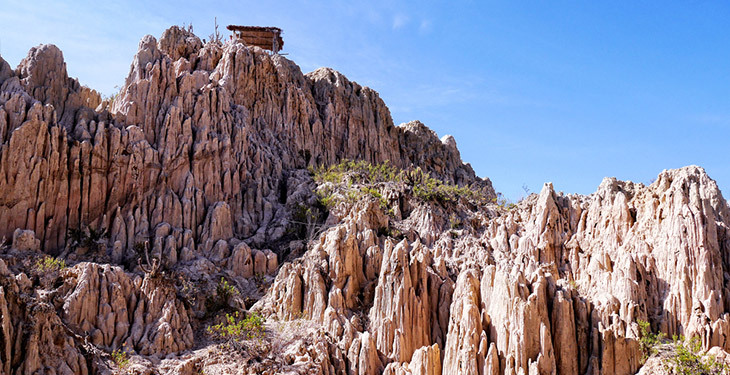 These unique high altitude desert trails pass through the spectacularly eroded canyons and barren landscapes which are only found in the vicinity of the La Paz Valley. Starting with the short and fun Achocalla Trail, you'll develop a good feel of what it's like to be riding in the high altitude desert “moon soil” of La Paz. After this you'll take local transportation and head to the nearby trail of Ayma, sure to be one of the more unique trails you experience! It's an amazing high altitude desert ride that will be in the back of your mind as one of the most fun and challenging trails ever. After this you'll hop back on the transportation to go grab lunch. Your guides will find you a nice local restaurant with charm typical of the southern part of the city. After lunch you'll grab your gear once more and head to the Gondola Central. 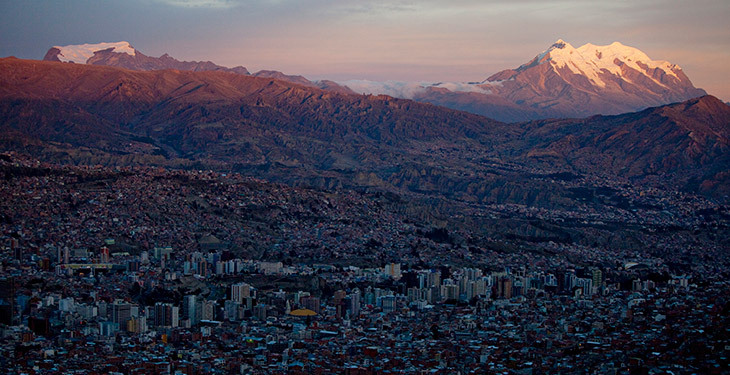 You'll catch a ride on the famous Urban Gondola System of La Paz, which sprawls above the city. Finally, you'll arrive at the highest part of the city of El Alto to the north. After regrouping at the last Gondola Station, you'll tackle the longest urban downhill routes of the city through the most unique alleys and stair-sets you'll ever ride in your life. This is the world’s longest urban downhill run, and the best way to tour the city of La Paz. Finish the day with a short transfer back to your hotel in the lower city. Day 4 and 5 are some the most epic days of riding in this tour. Your guides will take you to the amazing town of Sorata, the Mecca of Freeride/Enduro in Bolivia. One word to describe these trails is SPECTACULAR! You'll take off early from your hotel at around 6:00 am and have a two and a half hour drive to the Pass of Sorata at an altitude of just under 15,000 feet above sea level. Ride the amazing Loma-Loma trail, an amazingly beautiful and long ridge ride next to the majestic Illampu Mountain (20,892 ft). It will soon be very evident where this trail got its name, as “loma” translates to ridge hill in Spanish. With amazing views and a demanding pace, the Loma-Loma trail will prove to be a breathtaking ride all the way down to the Colonial town of Sorata (8,858 ft above sea level). After enjoying lunch in the main square of this friendly, warm town, you'll drop off your gear and luggage in the beautiful eco-resort hotel Altai Oasis before departing for one more ride to end the day. The beautiful “Eden” trail is located right above Sorata. It's an amazing pre-Inca trail that offers a high-speed ride through native Andean forests with outstanding views, all the way back to town. After cleaning up and resting a bit, settle in for a surreal dinner in the middle of the subtropical Andean Valleys. A hearty meal will feel welcome after such an epic day of riding and prepare you for another busy day ahead. Wake up early for another day of amazing riding. You'll take a two hour drive to the top of the Chuchu Pass at 15,420 feet above sea level to kick off your next unforgettable ride. The epic Chuchu trail is home to the great “Jach’a Avalancha” (which from its words in the Aymara native language means “the great avalanche”), the starting point for the Enduro Mass race for the last 10 years. The trail is 22 miles long with a 6,500-foot altitude drop. It's a truly majestic pass with 1,600-foot long scree slopes and raw switchbacks through Andean forests, peaking at an altitude of 8,800 feet. It's Big Mountain Enduro at its best, and sure to be one of the most amazing trails you'll ride. Once you've reached the bottom of the trail you'll have time for a quick lunch. After you've finished and packed everything back up, you'll head to the El Eden riding site. Here you'll take one more ride down through pre-Inca grave sites and endless grass prairies before saying your last goodbye to the amazing trails of Sorata. Regroup at the main square for transportation back to La Paz (a 3-hour drive). After returning to La Paz you should have some free time to check out the Bolivian nightlife and find dinner at a local restaurant. 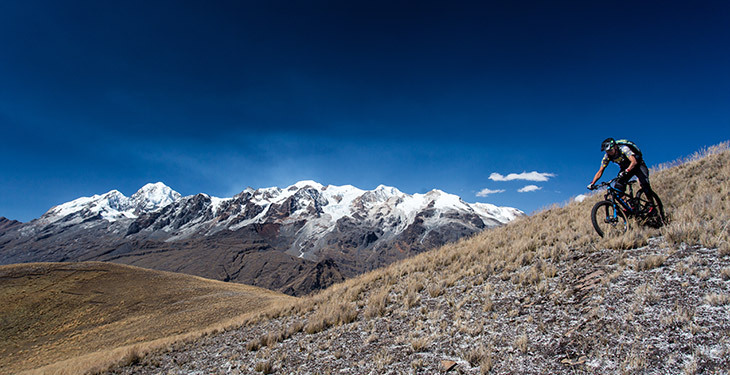 Today you'll enjoy what is definitely one of the main courses of this trip, the Illimani trail. It's an amazing 3,200-foot descent through steep ridges, playful grounds and beautiful villages. Your guides may have you hit this trail twice early in the morning to get a good feeling for the landscape, before enjoying a picnic lunch and an outstanding view of the Illimani Peak. After lunch, you'll head deep into the Animas Valley for a sightseeing tour of this awesome geological site. You'll pedal and push your bikes for a bit, getting well acclimatized to the altitude, before reaching the peaks overlooking the amazing Animas Valley. The Animas Valley is the worlds largest geological tower formation in the world and it is one of La Paz’s most unique destinations. You'll have the opportunity to ride your bike through this truly one-of-a-kind location. After this hefty day of riding, you'll return to town to clean up and have a goodbye dinner in one of La Paz’s best restaurants - a great way to finish up your stay in Bolivia! The end of the tour has come and it's time to say goodbye to the amazing city of La Paz. You'll return home with photos and memories that are sure to be with you the rest of your life. Transportation to the airport is included. Whether you're riding your bike in the heart of the Andes or the entrance to the Amazon, we offer bucket list cycling tours you won’t ever forget. Bolivia Bucket List is a company that specializes in bringing the very essence of Bolivia to you. They are truly convinced that making a unique traveling experience in Bolivia requires passion and a deep understanding of the country. They try their best to include both of these factors into every detail of their service as a tourism agency, highlighting their unique and very authentic country. A great time, I strongly recommend it! Yannick and Pierina knew the best places to go. They showed us a great time that we will remember for life! Thank you for your help and friendship. Yannick organized a trip of a lifetime for me. Top notch. These guys are true connoisseurs of the best tour attractions in the area, and know locations most other tourists won't visit. We had a really good time and the fact that Yannick speaks perfect English is a huge advantage! Thank you so much for everything!!! The operator will run this trip with a minimum of 2 people and a maximum of 16 people. Please wait to make your travel arrangements until you've received confirmation from Bucket List Bolivia that your trip is confirmed for departure. In extreme cases, climate factors may alter the itinerary order and routes, but not prevent the trip from running. Access to trails may also affect the order of the itinerary in case of road maintenance or climate factors affecting trail access. Book your international airfare to El Alto International Airport in Bolivia. A representative from Bucket List Bolivia will provide transportation to and from the airport at the beginning and end of the trip. You can expect double or triple room accommodations in 3-star hotels for all of the stays in La Paz, and a backcountry outdoor cabin site for the nights away from La Paz city. Yes, there is an option to book a solo room for an additional cost of $260 USD. What is the food like? What meals are included? When it comes to meals, Bucket List Bolivia focuses on three main concepts: 1) prime Bolivian restaurants, 2) good quantity of food in the servings (hearty meals for the riding days), and 3) introduction to Bolivian cuisine and ingredients. The meal plan for meals included in the tour is: one main course dish (for lunch and dinner) and one beverage, or buffet lunch/dinner with one beverage for all meals that are included in the trip. Any extra beverages or food runs for special dietary needs will be on a separate passenger bill. Breakfasts are planned in the hotel or accommodation site. Please see the itinerary for meals included on each day. Snacks are included from days 2 to 6 (riding days of the tour). 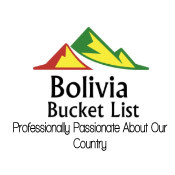 Bucket List Bolivia recommends an extra $250 USD for souvenirs, gifts and non included meals and beverages. Bikes will be available to rent for $280 USD on site, though it's recommended that you have your own. It's also required that you bring an Enduro helmet with full and open face options. What is the ideal season for this tour? The ideal season is from April to October, as this is the dry season in Bolivia. Will the high elevation be a problem? The itinerary and routes are carefully designed to slowly acclimatize passengers to the different altitudes. What is the skill level required for this tour? Travelers are expected to have good physical fitness and solid experience on backcountry bike trails. As an Enduro mountain biking experience, the riding level is considered advanced-expert. This is a demanding, yet highly rewarding cycling experience! What is the age limit for this trip? The minimum age is 18 without a tutor and 16 with a tutor. It is important to note that no matter the age, you are expected to have advanced riding skills. Do I need a visa for Bolivia? Many countries will require a visa fee to enter Bolivia. The fee for a United States citizen is $160 USD. Travel insurance is required for this adventure. It allows you to seek reimbursement if you are forced to cancel your trip for unforeseeable reasons, or if you need to cover medical help, emergency transport, and/or theft or accidental damage while traveling. For travel insurance, we recommend World Nomads. Book confidently with Free Cancellations within 72 hours of booking. After 72 hours, cancellation fees will apply. Cancellations are subject to the full discretion of Bucket List Bolivia. For more information on our Travel Cancellation Policy please Click Here.